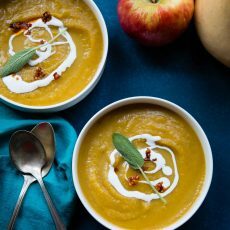 A note here from Bonacci and De Leeuw— for this recipe, don’t think about substituting rolled or old-fashioned oats–you really want the sturdiness of steel cut to stand up to cooking at high pressure in the instant pot. Also, they call out the apples as tart and sweet, so use what you like, though they provide varietal suggestions too. You can certainly use whatever milk you prefer here too– I used Califia Farms almondmilk because aside from me making my own, its texture and mouthfeel is thickest and creamiest. 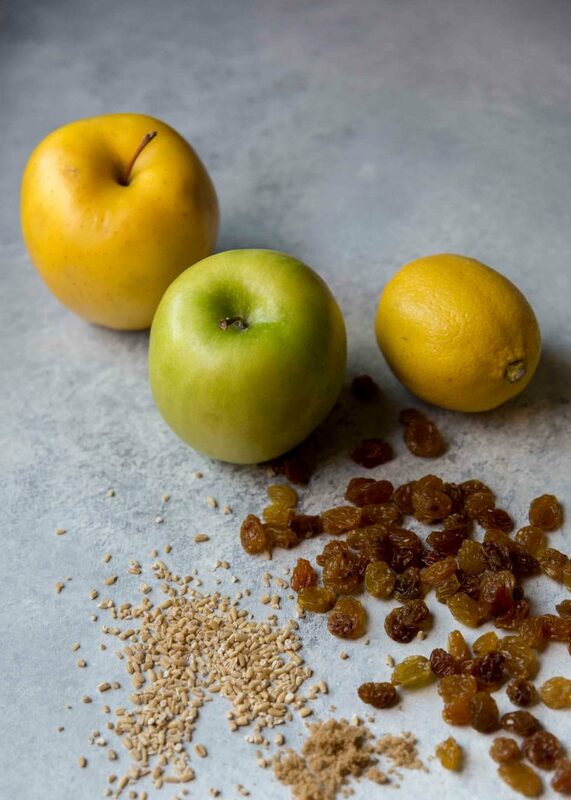 Also, those golden raisins are initially called out as optional in the cookbook recipe, but I wasn’t so generous and and omitted the optional element. 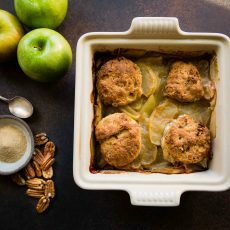 Their sweet and tart flavor really plays off the apples and I think the compote would be lacking without them, so think of this as an oatmeal cookie deconstructed into a bowl of oats. I bet dried cranberries might work well here too, and add a pop of color, but give sultanas a chance, even if you (like me) don’t really love cooked raisins. 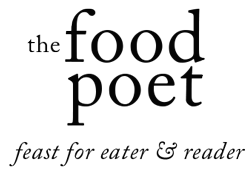 If you also happen to be vexed with instant pot cooking or wanting to give it a go, read my unbridled The Gluten-Free Instant Pot cookbook review. I ate this oatmeal for a week and didn’t tire of it. There’s a fresh pot of steel cut oats cooking away on my countertop in the instant pot as a break-ahead breakfast for a week leaning deeper into fall. Peel and core the apples, and cut into small chunks. Place in a saucepan. Add the raisins, orange juice, lemon juice, brown sugar, maple syrup, cinnamon, vanilla, and lemon zest. Stir to combine. Cook over medium heat, stirring occasionally, until the apples are fork-tender and the liquid is syrupy. Transfer the compote to a bowl and set aside. Lightly butter the bottom and lower sides of the inner pot to help avoid sticking. Add the water, milk, oats, and salt, but do not stir. Close and lock the lid, making sure the steam release handle is in the sealing position. Cook on high pressure for 9 minutes. When it is finished, release the pressure naturally, which will take about 15 minutes. Turn the steam release handle to venting, releasing any remaining steam. Unlock the lid and open it carefully. 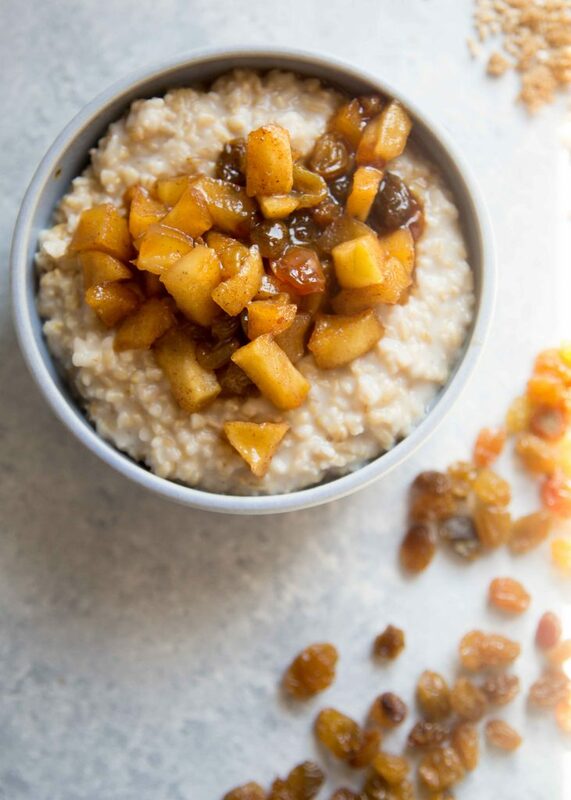 Scoop the oatmeal into bowls and top with a tablespoon or two of the apple compote. Serve immediately. 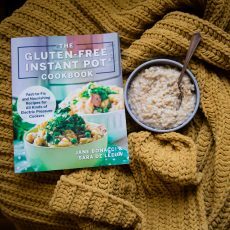 Reprinted with permission from The Gluten-Free Instant Pot Cookbook by Jane Bonacci and Sara De Leeuw (published by Harvard Common Press, an imprint of The Quarto Group, 2018). I want this, I want this, I want this….